For investigative journalist Tomasz Piątek, life changed dramatically after he published a book in June on the Polish defence minister’s associates’ alleged network of questionable Russian contacts. In an interview in Warsaw this month with the International Press Institute (IPI), he spoke about the minister’s “absurd” criminal complaint against him – and its broader implications for journalism in Poland. 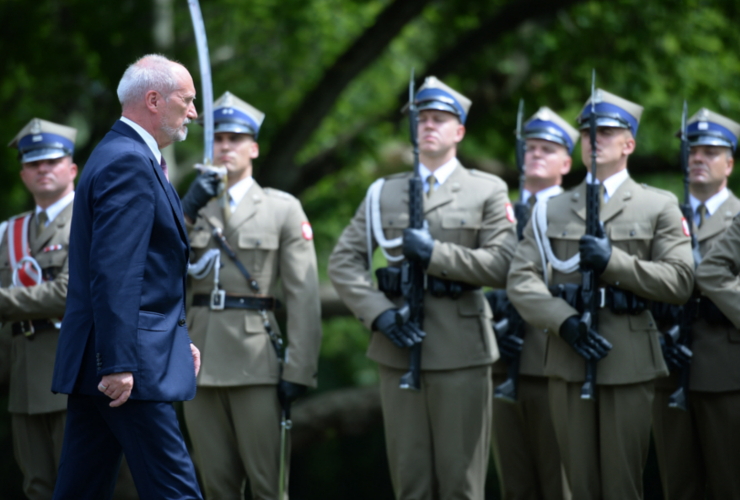 The result of 18 months of research online, in archives and through interviews, the Gazeta Wyborcza journalist’s book focuses on Defence Minister Antoni Macierewicz, the deputy chairman of the governing Law and Justice party (PiS). “Macierewicz and his Secrets” describes the minister’s alleged political and financial ties with persons close to the Kremlin, to the Russian intelligence services and to Russian criminal organisations. Since publication, the book has sold around 200,000 copies. 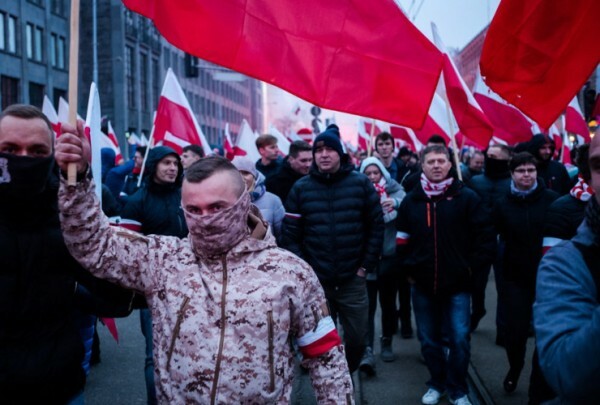 In late June, the ministry asked the military department of Poland’s National Prosecutor’s Office to investigate Piątek for “violence or illegal threats” and “public insults against a constitutional authority of the Republic of Poland”. The military approach towards Piątek, a civilian, raised eyebrows. As he himself points out, he has not been sued for or formally accused of defamation, which would have led to a check of the book’s contents’ veracity. “The whole purpose is to intimidate me and other journalists,” Piątek told IPI during the recent interview. 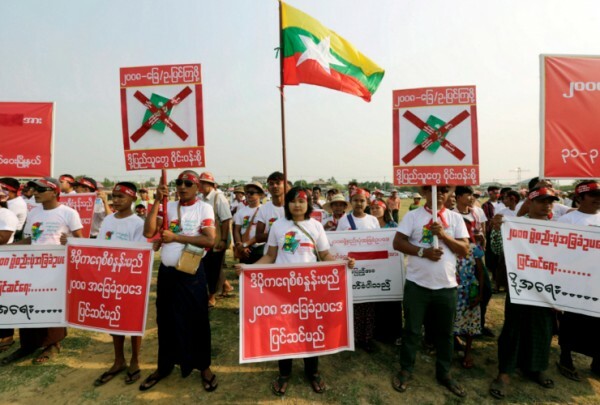 IPI joined nine other international journalists associations and free expression groups in urging the minister to withdraw his complaint, writing that “there are absolutely no grounds for subjecting a civilian to military justice in connection with his writings”. They noted that the minister has other means at his disposal to dispute allegations he considered erroneous. Piątek maintains that the minister’s complaint is “absurd”. In relation to any “violence” allegedly supporting a charge under Art. 224, he highlights that he has never met the minister, who Piatek says avoided all personal contact with him, even an e-mail exchange. “The minister is using state resources to protect his ties,” Piątek says. He explains that the minister, in invoking Art. 226, is equating his person with a constitutional body, whereas Piatek’s book focuses on Macierewicz himself, rather than the post of defence minister or the ministry. As well as being absurd, Piątek says, the complaint is dangerous. Meanwhile, Piątek has experienced other harassment. Late one evening in July, men in police uniforms entered his parents’ apartment, declining to show any warrant or identity badges. The men claimed they were looking for robbers, then eventually said they had the wrong apartment number and left. Piatek has also been the target of ad hominem attacks in private media outlets supportive of the minister. Piątek could face up to three years in prison for the charges. Yet four months since the complaint was filed, he says, he still has not received any formal notification or summon. The case has since been moved to the district prosecutor in Warsaw. But, again, Piątek says, he was not notified and only found out from media reports. “Everything and nothing is happening at once,” he adds, describing himself as being in a perpetual state of having a “sword over his head”.